A properly made slider is hard to find. In NYC it’s almost impossible. 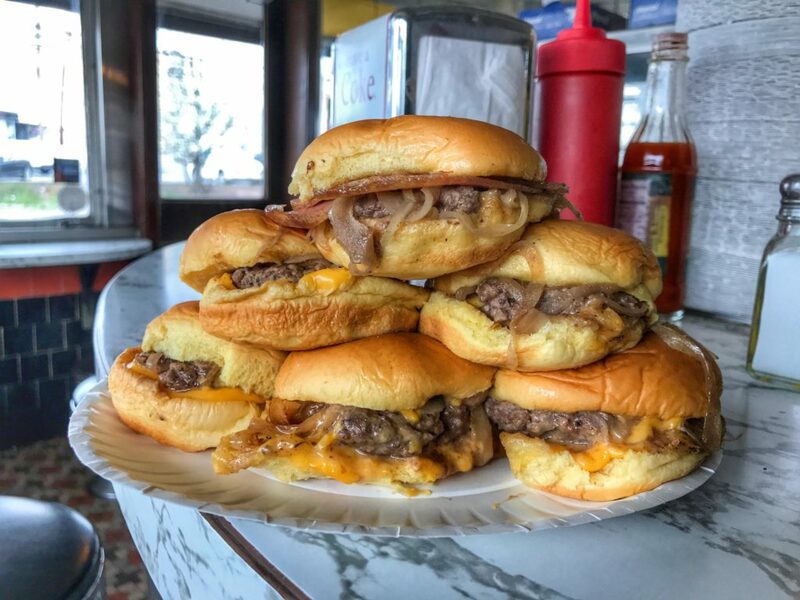 In NJ, there are still few classic joints making proper sliders. What is a proper slider you ask? Let’s start with what it is not. A slider is not a smaller version of a larger sandwich, those are mini’s. You can have a mini Burger, a mini pulled pork sandwich, mini chicken and so forth. A pulled pork slider is not a thing. A slider is a form of Burger preparation. You take 2-3 oz of fresh ground beef, smash it on a well seasoned flat top griddle while cooking thinly sliced onions on top or underneath using steam. It’s served with cheese on a squishy bun, sometimes with pickles. You can add other elements, like bacon and egg but thats a slider with bacon and or egg. Slider is the base. Anything else is NOT a slider. Back to the Garden State, where you’ll find a few places still making real sliders. My absolute fave in NJ is the White Rose in Linden. Some locals still refer to it as the “System,” and old nickname related to how they were cooked. It’s just south of Newark airport and only open through lunch. Good chances are when you stop by, you’ll find the owner, Rich, working the grill. He’s not the original owner but has a lot of passion for the business, the food and his customers. That’s him in the back of the photo. Go there tomorrow. 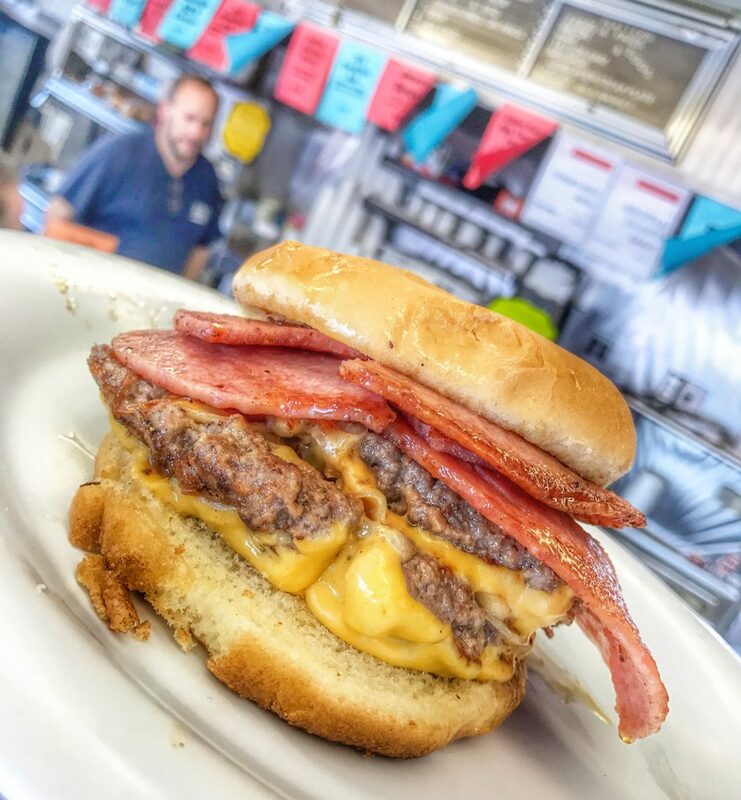 Get the Jersey slider topped with pork roll. In the meantime, click the link in my bio for more info about the White Rose and sliders vs mini Burgers. This entry was posted in Burgers, New Jersey, Sliders and tagged "pork roll", "taylor ham", "white rose diner", "white rose system", best sliders, linden, nj. Bookmark the permalink.